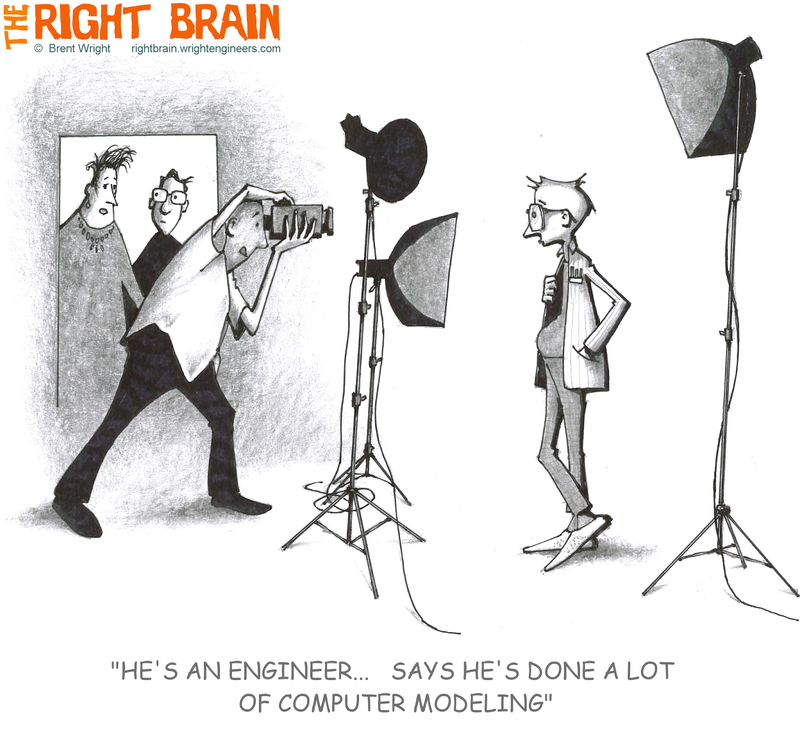 There are a lot of good reasons why we humble engineers aren't necessarily known for our charisma or our good looks, but we do have a lot of modeling experience. Every day we make computer models of buildings, and we place these models under high wind and earthquake forces so that when the building is built and an actual earthquake or wind storm hits, the building will stay safely standing. Some engineers also go on a lot of model walks. And you could say that this guy's a model engineer - three pencils at the ready in his chest pocket, thick glasses to see every detail, a physique made for long hours sitting behind a desk, and his left hand at the ready on the calculator in his jacket pocket.